This is pretty convincing proof in writing predating the U.S. Constitution that the framers did not need to wait until for the 1797 translated edition of Vattel’s Law of Nations to learn that “naturels” to them meant “natural born”. It appears they were well apt to translate it themselves and understood “naturels” to mean “natural born”. This accepted translation of ‘naturel’ in 1781 even predates John Jay’s 1787 letter to George Washington by 6 years. 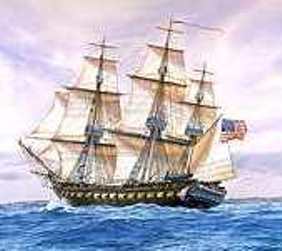 Thus arguments otherwise as to what “naturels” meant to the founders and framers when they read the French editions of Vattel’s “Law of Nations of Principles of Natural Law” and its clear cut definition in Section 212 about types of citizenship in Vattel’s treatise (as a person born in the country of parents who were both citizens of the country) are without merit. 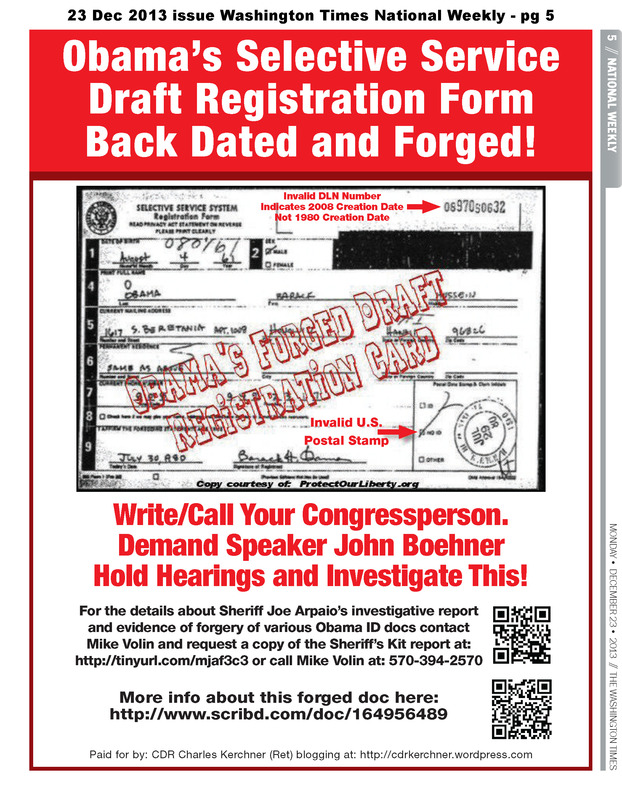 Wash Times Full Page Ad – 2nd Week: Obama’s Selective Service Draft Registration Form Back Dated and Forged! Download Copy: http://www.scribd.com/doc/191506317/Washington-Times-Ad-Obama-s-Sel-Service-Draft-Reg-Form-Back-Dated-Forged-16Dec2013 Print this ad and send it (and/or send the link) to your friends, associates, email lists, and elected officials. 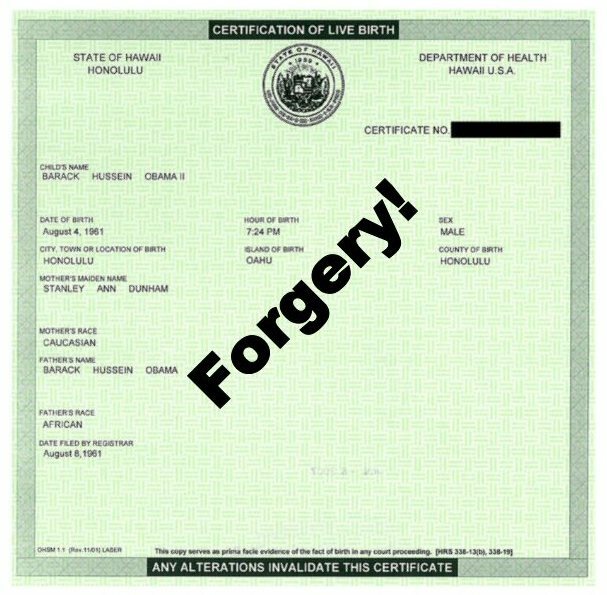 Click HERE for detailed evidence of the forgery and how it was done. 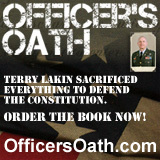 When will Speaker of the House John Boehner live up to his Oath of Office to support and defend the U.S. Constitution. Click on image for more about what Obama is hiding. Author cfkerchnerPosted on December 16, 2013 December 16, 2013 Categories AdsTags Apuzzo, AZ Sheriff Joe Arpaio, Barack Obama committing criminal ID fraud for decades, CDR Kerchner (Retired), Chief Investigation Michael Zullo, cold case posse, Congress must investigate Obama ID fraud, Constitution, draft, draft card, eligibility, fraud, Grave national security threat, Illegal, John Boehner must stop blocking investigations, kerchner v obama, Mike Volin, natural born citizen, Obama, president, Selective Service, Sheriff's Kit, Speaker John Boehner2 Comments on Wash Times Full Page Ad – 2nd Week: Obama’s Selective Service Draft Registration Form Back Dated and Forged! 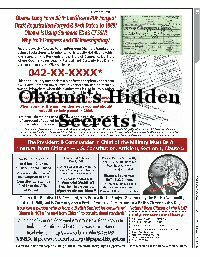 Wash Times Full Page Ad: Obama’s Selective Service Draft Registration Form Back Dated and Forged! Obama Selective Service Draft Registration Form Back Dated and Forged! Author cfkerchnerPosted on December 9, 2013 December 14, 2013 Categories AdsTags Apuzzo, AZ Sheriff Joe Arpaio, Barack Obama committing criminal ID fraud for decades, CDR Kerchner (Retired), Chief Investigator Michael Zullo, cold case posse, Congress must investigate Obama ID fraud, Constitution, draft, draft card, eligibility, fraud, Grave national security threat, Illegal, John Boehner must stop blocking investigations, kerchner v obama, Mike Volin, natural born citizen, Obama, president, Selective Service, Sheriff's Kit, Speaker John Boehner15 Comments on Wash Times Full Page Ad: Obama’s Selective Service Draft Registration Form Back Dated and Forged! With “CINO” (Conservative in Name Only) Chief Justice Roberts and his Neville Chamberlain leadership of the Supreme Court it is Deja Vu all over again. Roberts has been the problem all along in allowing our Constitution to be trampled by Obama – in particular Article II Section 1 Clause 5. Now Roberts has done it again — siding with the liberal wing of the court to “Move Forward” Obama’s fascist and socialist agenda to socialize America and ignore our constitutional republic system of government to help Obama “Move Forward” to a dictatorial federal fascist socialist form of government. See below post from the fall of 2010. Appeasement due to fear that some immediate small amount of veiled and threatened violence from the far left socialists and Saul Alinsky goons, tyrants and bullies, and thus not doing the right thing early on to support the rule of law and the Constitution, ultimately leads to much bigger problems later. History has shown us that over and over. The Obama eligibility matter should have been fully and thoroughly addressed and openly investigated by the investigative reporters in the major media and political parties early in the spring of 2008 during the primaries to get all of Obama’s documents released to the public as part of the vetting process. It wasn’t done. Congress should have addressed this when asked by 100s of thousands of constituent letters and petitions sent to them and when constitutionally it was required to so under the 20th Amendment. It didn’t. The courts should have addressed the merits of the questions when appealed to early on. They didn’t. Everyone in our system of government chose ignoring the problem and appeasement over confrontation and punted the ball to someone else. Now it is far worse. The Supreme Court has chosen appeasement and inaction over action and dealing with the issue and questions openly in a court of law under the rules of evidence and law. Our constitutional republic and legal system is now compromised and broken top to bottom and bottom to top. And it will only get worse as our legal system and constitutional republic further deteriorates and the rule of law gives way more and more to appeasement of bullies and tyrants in waiting such as Obama and his far left Marxist cronies and puppet masters. Appeasement of the constitutional usurpers will not make it go away. It will only delay the inevitable and fester and grow and in the end be a far worse situation to deal with when the real nature of the tyrant reveals himself in a much bolder way and attempts to take away all our protections to our unalienable rights and liberty. Neville Chamberlain tactics never work with bullies, alinskyites, tyrants, and national socialists. The U.S. Supreme Court orders were posted at 10:00 a.m. on 29 Nov 2010. See below. Certiorari for our case was denied. The two justices appointed by Obama who in my opinion had a direct financial conflict of interest (their very jobs and appointments to the court) in the outcome of this petition and case did not recuse themselves even though they should have! Their recusal was called for in our petition on page 36 with the relevant U.S. Code cited. The two justices and the court ignored that. There were recusals declared by these two Obama appointees in many other petitions including the one immediately before our petition in the orders list and the one immediately after. Imo, apparently the court needed all nine justices in the room to kill the petition. With the full court of 9 justices it’s the rule/vote of 4 to grant certiorari to move the case forward. With two recusals that would have left only 7 justices and it’s then the rule/vote of 3 to grant certiorari to move the case forward. For information on the Rule of 3 see: Supreme Court Practices, 9th edition, by Eugene Cressman, et al, page 324. The lawsuit Pryor v United States (1971) is an example case of the Rule of 3 being used. I suspect the water cooler buzz at SCOTUS was that 3 justices were leaning for granting certiorari. So it looks like Sotomayer and Kagan ignored ethical considerations and stayed in the review of the petition to be sure it got killed, i.e., to be in that room to argue against Certiorari, and to require 4 votes to grant cert instead of 3 … financial conflict of interest and ethics be damned by those two justices. JMHO. The motion of Western Center for Journalism for leave to file a brief as amicus curiae is granted.